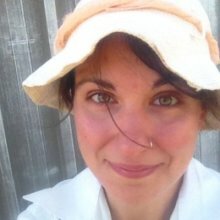 Andrea Rawluk holds a PhD in environmental sociology and is a research fellow in the School of Ecosystem and Forest Sciences at the University of Melbourne. She interrogates spaces of power, memory, values and landscape perception in social-ecological contexts, such as rural transformation, bushfire, biosecurity, and water governance. Her work straddles conceptual and theoretical engagement alongside outcomes for government policy and practice.